Microplastics from Metro Vancouver's laundered clothes are ending up in water treatment plants and filtering into the ocean, says a study published in the science journal Marine Pollution Bulletin. 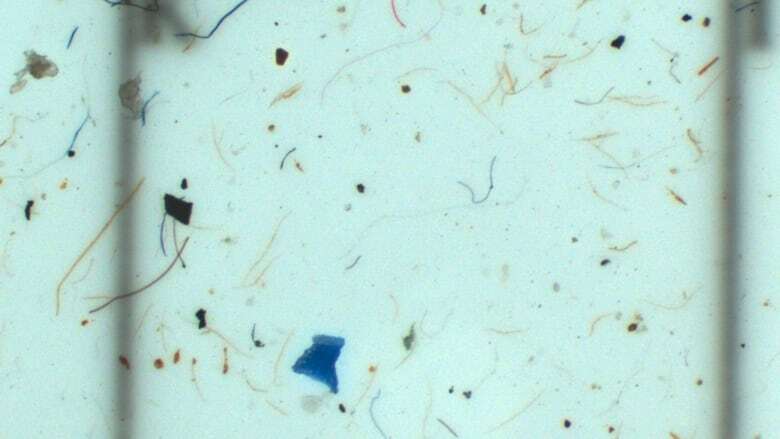 Peter Ross, the study's principal investigator and vice-president of research at Ocean Wise, said many of the microplastics are in the form of fibres from polyester and rayon clothing. "Both those numbers are high and really point to the need for us to track these particles back to their sources more coherently," he said in an interview on Thursday. "But that doesn't give us an excuse to ignore the evidence that we have thus far. The evidence is that a large number of microplastic particles are heading into waste-water treatment plants in Vancouver. "Most of those, 71 per cent are fibres, 29 per cent are other things like polystyrene beads or microbeads from toothpaste and facial scrubs or little fragments of mystery particles." The consequences for animal life are unclear, but the microplastics being ingested "underscores the potential for serious impacts at the bottom of the food chain," the study concludes. Consumers can play a role by thinking about the fabrics they buy and by using cold water, less soap and washing clothes less often. "Be smart shoppers. Consider the material that one is buying and look at alternatives," Ross said. Ross said Ocean Wise isn't suggesting that people stop buying synthetic clothing, but it does want consumers to be more conscious about what they're buying and where it's coming from. "We can all step up and basically devise ways to reduce our release of, or shedding of, fibres into the waste-water stream."